I would definitely recommend this course if you are interested in media. 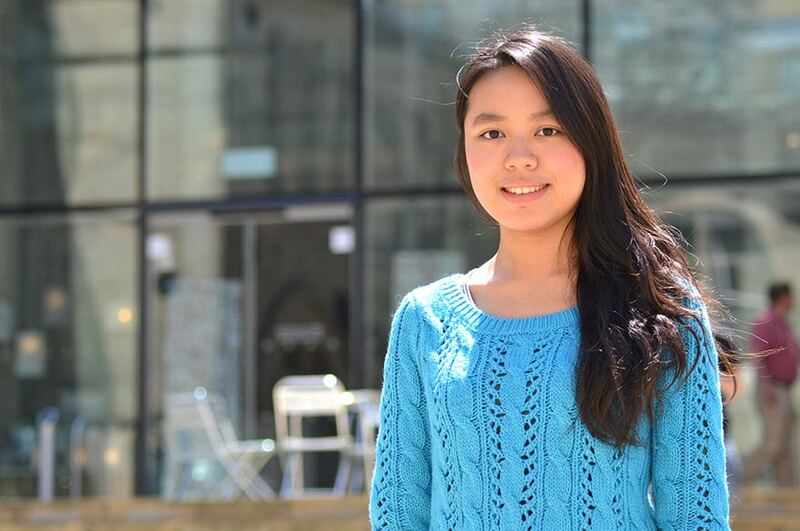 "I enjoy studying at NTU as I find the facilities help me a lot during my studies. The resources in the library foster a friendly environment for me to learn independently. I can find books, journals and eBooks that I need using the Library Onesearch online system. Also, NOW - the NTU Online Workplace, provides information like referencing and course hand-outs. All the resources and tools enhance my learning experience. "The relationship between lecturers and students is relaxed. Students are welcome to ask questions and are encouraged to think critically. "The most interesting person I've met since I came to NTU is Hongwei Bao a Senior Lecturer in Asian Media. He is so funny during the lectures, he is very lively and vivid! "I would definitely recommend this course if you are interested in media. This course provides a wide-range of pathways such as communications, creative industry and popular culture. There are not only theoretical lectures but also placement opportunities. This blends my theory knowledge and practices together in order to prepare for my future career path - to work in the public relations and event planning industries. "Nottingham is ideally located in the UK and is very convenient for visiting other parts of the UK. I have been to the Lake District, London, Bath, Bristol and Birmingham. "I live in University halls of residence at New Hall on Clifton campus, it is great. The environment is quiet and I love the green grass! "To keep in touch with my friends and family back home I use Skype and WhatsApp Messenger. I can chat, share photos and even video-call them through these software. But sometimes I will send cards to them because I found that hand-writing is really heart-warming. "In the UK you say thank you to bus drivers this is something that would never happen in my country! People are always polite and friendly."